Buying a decent pair of well-aligned and tensioned tweezers with precise, sharp tips can be a great investment and if you look after them well, they will last you for many years. Nothing worse than trying to tweeze with a blunt pair of tweezers that will not grasp the hairs properly! Having said this, even the best tweezers lose their effectiveness over a period of time. Constant ​use, cleaning and sterilising all combine together to cause the tips to become less sharp and effective. It is important that tweezers have good, sharp tips so that they can grasp the hair nice and firmly, and when you attempt to pluck the hair out it doesn't slip​. Several well known tweezer manufacturers provide a sharpening service, but it can prove to be quite costly, so it rather depends on the original purchase price of the the tweezers as to whether this is worthwhile. ​Rubis for example, provide this service, but the cost is currently $19.75 plus postage, so unless you have invested in an exceptionally expensive pair of tweezers, you may as well buy a new pair. Tweezerman actually offer a free sharpening service for the life of all of their tweezers, which is great, but it does mean that you have to send them off to be sharpened and will be without them for a period of time. The Sharpening Shack is an online tweezer sharpening service for all types of tweezers, specializing in slanted and pointed tipped stainless steel. The service includes sharpening and disinfecting. ​Current pricing is only $3.50 per pair plus return postage and they promise a 1 day turn around, which seems pretty good value for money, assuming you are looking at reasonably high value pair of tweezers. 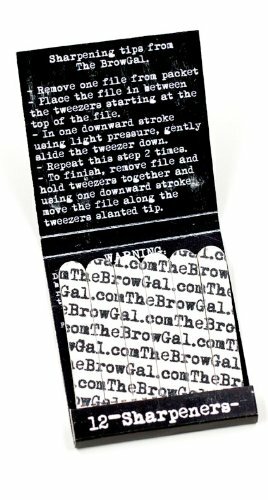 For around $4 you can purchase a packet of 12 Browgal tweezer sharpeners. Remove the file and holding the tweezers with the tips closed together, file the slanted tip in one stroke along its edge. If you do not wish to purchase a special aid for sharpening your tweezers, it is possible to sharpen them effectively quite easily using every day sandpaper. Using a fine sandpaper - the black wet and dry style is perfect - fold in half so that both sides are rough. If the sandpaper is not thick enough you could fold it around any thin rigid item eg. a credit card, to give it support. Alternatively, you could use an emery board and file each side individually and then the end with tips together as described. 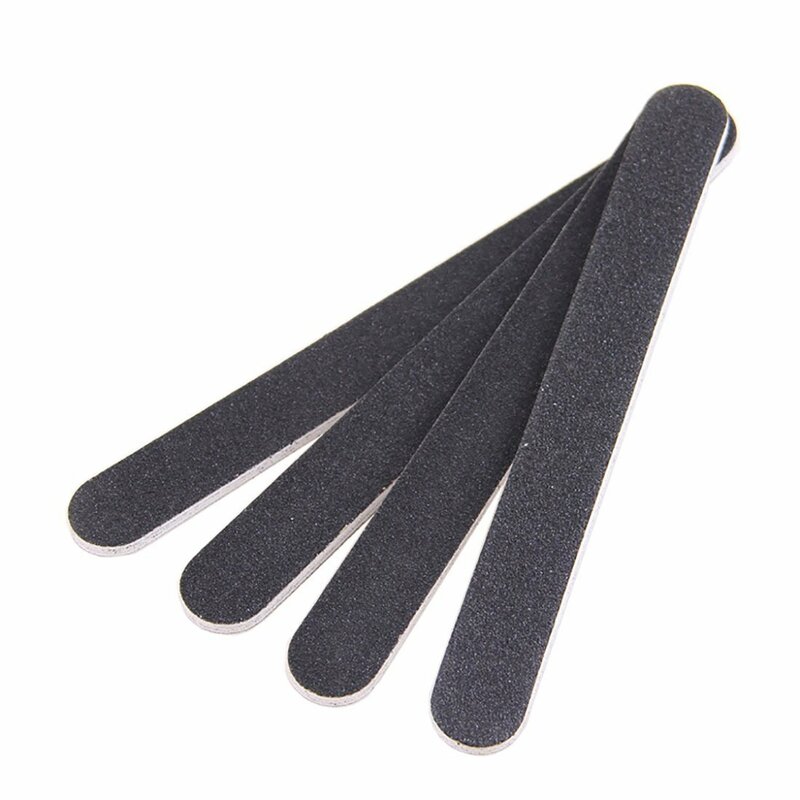 These Professional Double Sided Nail Files from esowemsn are available for just $7.50 for a pack of 10. They are coarse on one side and finer on the other, so use the coarse side first, once or twice and then finish with one pass on the fine side. Finish off by cleaning and sterilising the tips with a rubbing alcohol such as Beauty Secrets Cleansing Alcohol on a cotton pad. Then checkout the tips and off you go - they should be good as new! Our Ultimate Guide to Tweezing Hair Removal provides in-depth information regarding all aspects of choosing the right tweezers and which type is best for which job. My experience with Tweezerman; I’ve sent 3 or back that I didn’t think were that bad. The response was always the same. These are too bad to be sharpened, here’s a coupon for a discount on a new pair. I can’t remember how much it was, but it wasn’t great.